PennsylvAsia: 2017 Japanese animated film Mary and the Witch's Flower (メアリと魔女の花) at AMC Loews Waterfront, Row House Cinema from today. 2017 Japanese animated film Mary and the Witch's Flower (メアリと魔女の花) at AMC Loews Waterfront, Row House Cinema from today. 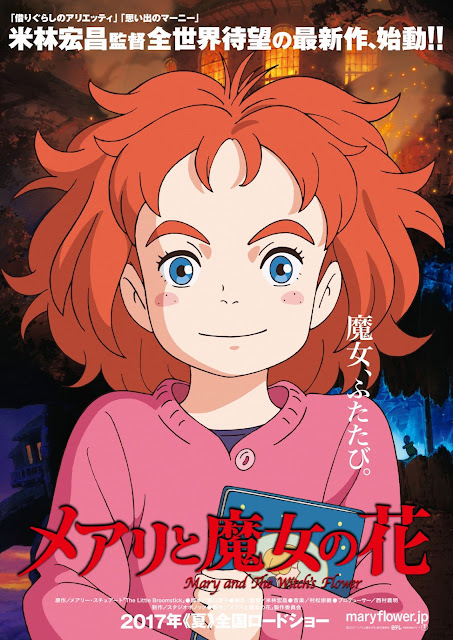 Based on Mary Stewart’s 1971 classic children’s book The Little Broomstick, Mary and The Witch’s Flower is an action-packed film full of jaw-dropping imaginative worlds, ingenious characters, and the simple, heartfelt story of a young girl trying to find a place in the world. Tickets for the Row House Cinema's screenings are available online via the theater's website. The single-screen theater is located at 4115 Butler Street in Lawrenceville (map). Tickets for the Waterfront shows are available online via Fandango. That theater is located at 300 West Waterfront Dr. in the Waterfront shopping complex in Homestead (map), across the Monongahela River from Greenfield, Squirrel Hill, and the rest of Pittsburgh.